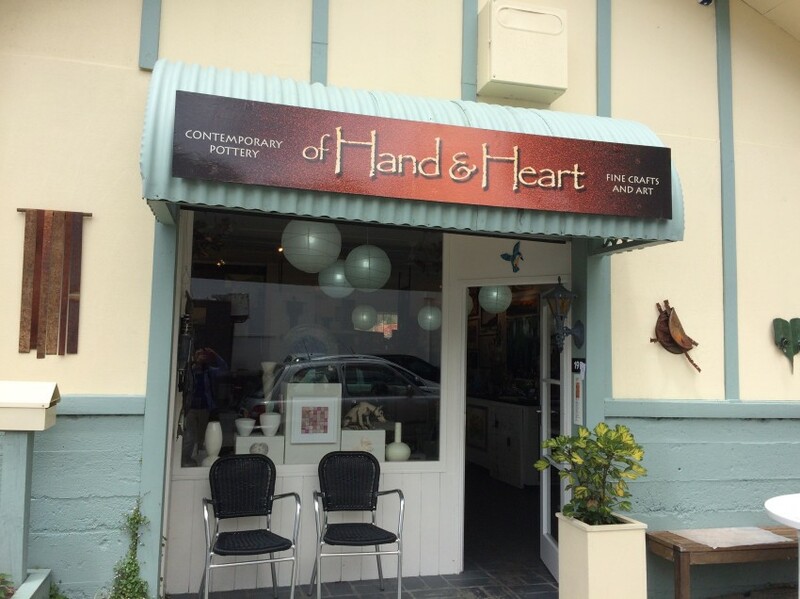 Rick Urban runs an art gallery in Warkworth, of Hand & Heart, which I visit when I am in the area. I once bought a small soap dish that he made. 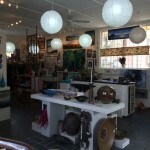 The gallery displays and sells good quality paintings, pottery, jewelry and clothes. 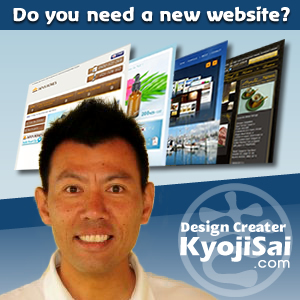 Many of the ceramic arts are distinctly Japanese in style, including his own. Hailing from Philadelphia, Rick was an art director for a major advertising company, Y& R, in New York, and was transferred to its London office. There his first night classes were with ‘little old English ladies’. Years later he was able to find teachers that taught pottery influenced by Mingei, the art movement that appreciates ‘functional’ pottery lead by Bernard Leach, Muneyoshi Yanagi and Shoji Hamada. 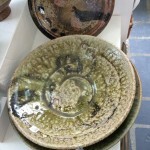 Rick quit his job and studied pottery full time for two years at Harrow College of Art. 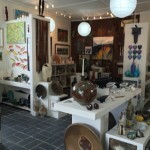 Back in the US, he drove around for four months looking for a place to start a pottery business, and settled in Dillsboro, North Carolina, which was a mecca for artists. After 9/11 in 2001, he was disgusted by the politics by George Bush and decided to emigrate to New Zealand. Rick and his wife settled in Rotorua in 2006 and moved to Warkworth in 2009. Rick showed me copies of old newspaper articles, which tell about his trips to Japan. One was about his three months’ hitchhiking in the winter of 1993. Picked up by kind Japanese drivers, including members of Japanese Mafia, he visited various areas and potteries. A young potter, Tomitaka Ohta (1969 – ), would visit Rick the next year to work with him for six months. Another article was about staying and working with Tomo Yano (1937 – 2013), a potter in Karatsu, Kyushu, who took Rick under his wing for three months in 2000. Rick told me a funny story when I bought the soap dish. He visited Nihon Mingeikan, Japanese Folk Crafts Museum in Tokyo, and saw cheap plastic soap dishes in the toilet. He returned home and selected two soap dishes to send to the museum, which they were happy to install in their men’s and women’s room. Three years later when he returned, they had been stolen. He happened to have two more in his backpack and left them. They too were stolen again. The staff were very apologetic. 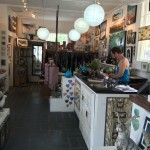 Rick showed me and explained some of the characteristics of his and other artists’ works in the gallery. While some are ‘overstated’, with bright colours and imposing shapes, many influenced by Japanese pottery are ‘quiet’. 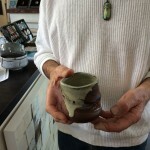 Art business has its own ebb and flow, and Rick wants to see more people appreciate craftsmanship in daily ceramics.